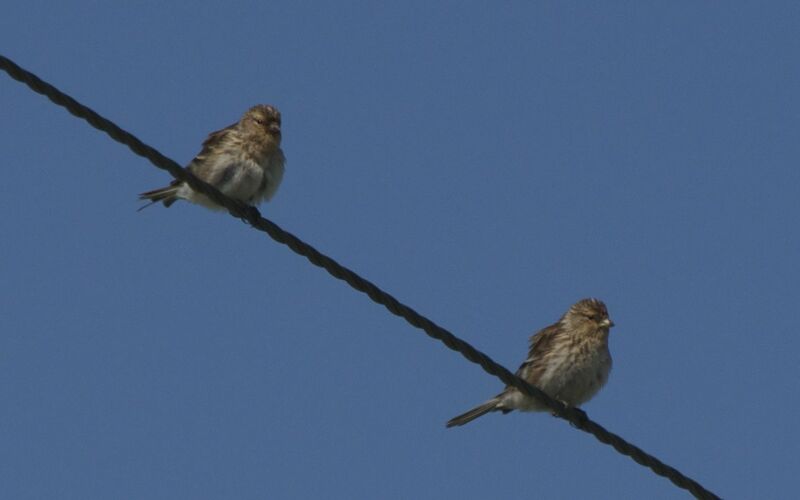 We were just leaving when Peter spotted these gorgeous little birds on a telegraph wire – Twites! 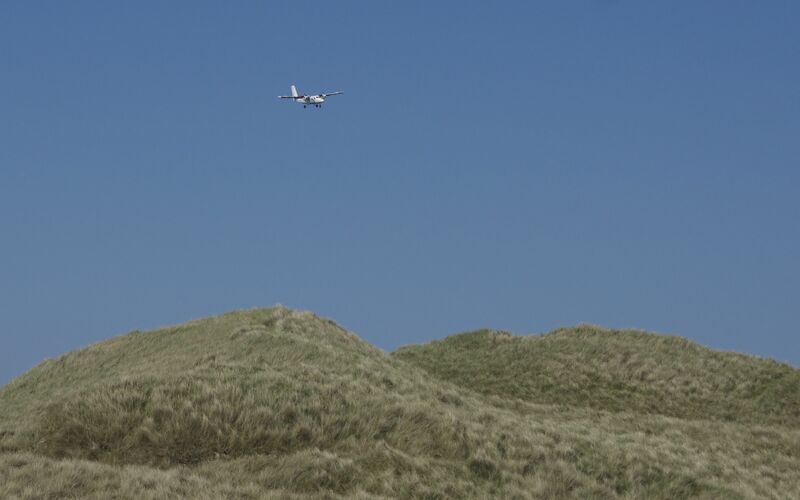 We called in at the Airport café in order to use their wi-fi – that and have a plate of hot garlic cockles! 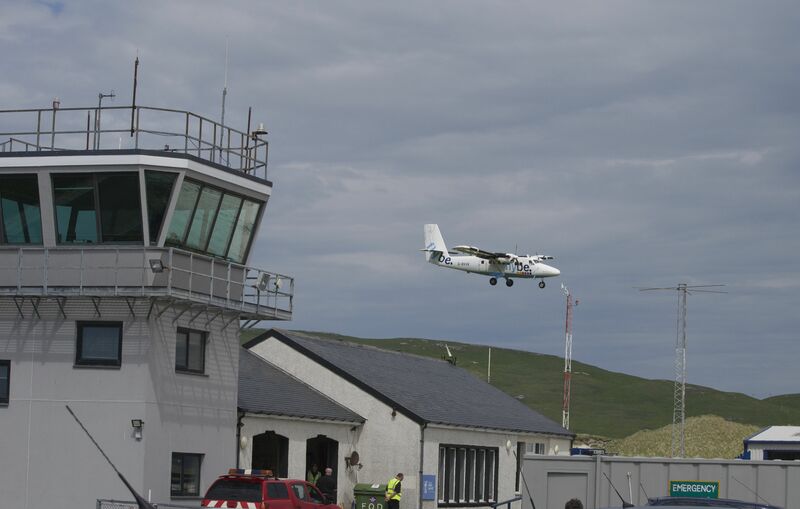 The plane was due as we left the café and, of course, we had to wait to see it safely in. 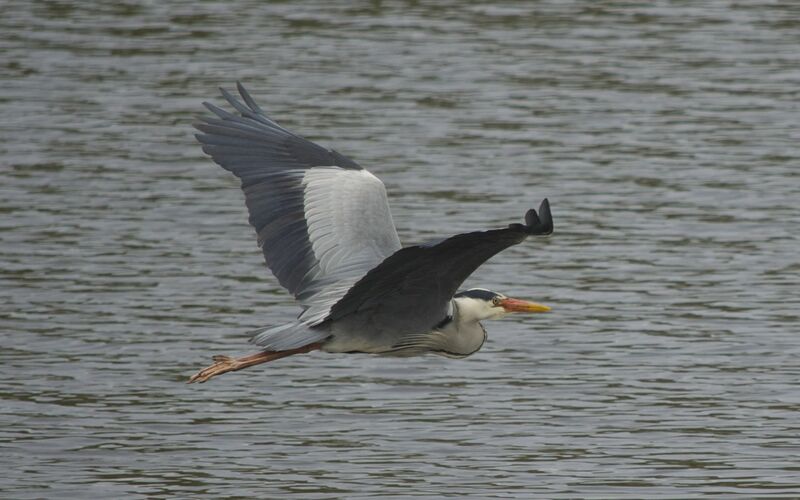 Further on this Grey Heron took gracefully to the skies. 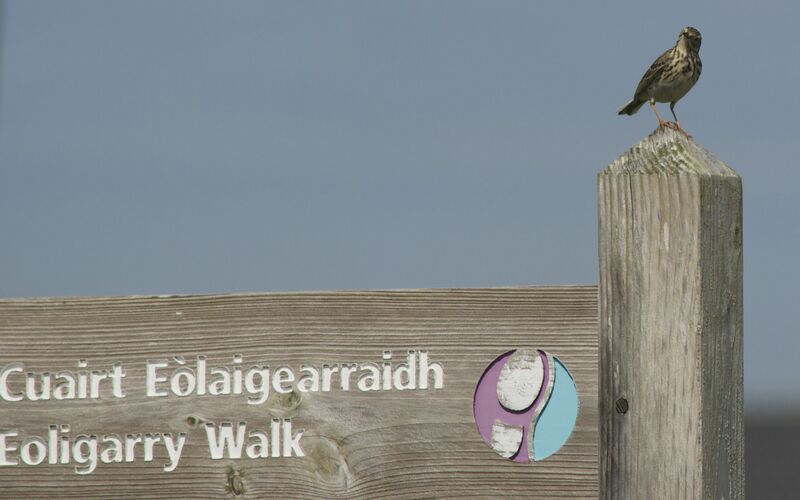 We decided to re-visit Vatersay today – the small island to Barra’s south which is linked with a causeway. 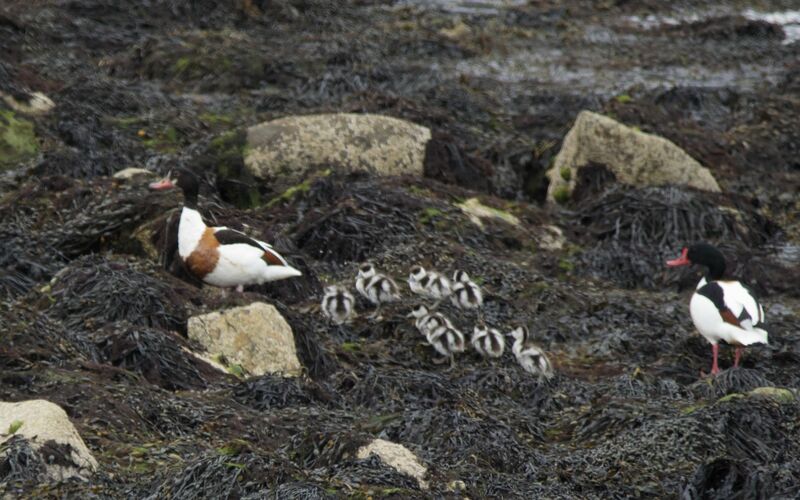 We spent some time at a sea loch where we watched a family of Shelduck (see featured image). 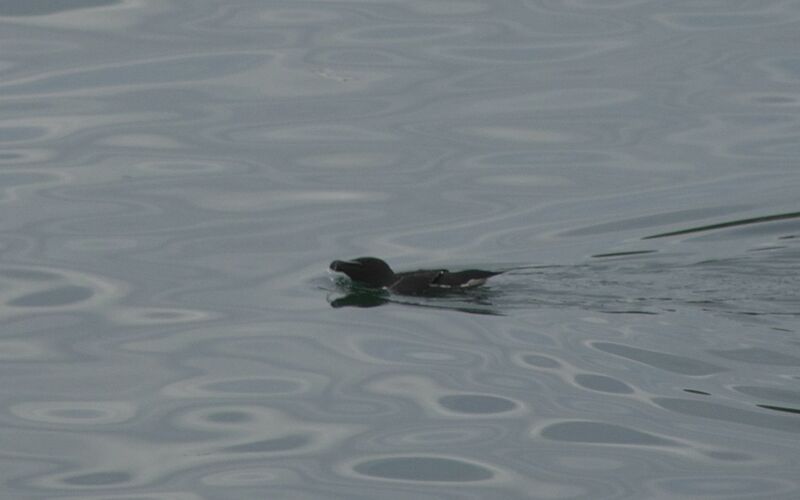 The two parents led their babies up and down the water and then backwards and forwards over the seaweed strewn rocks. Fascinating. 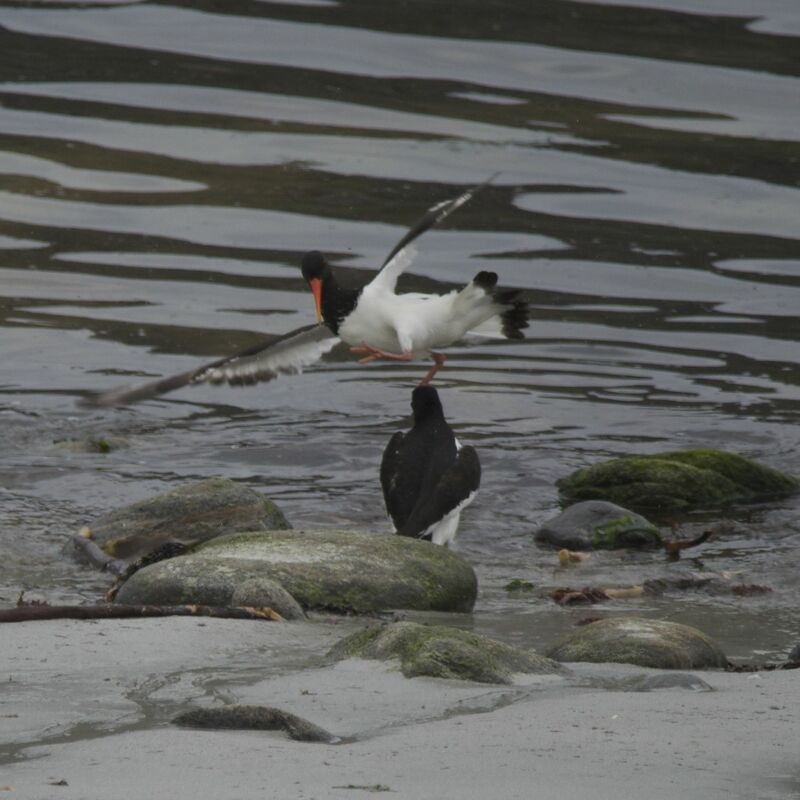 A couple of Oystercatchers were having a bit of a barney and this kick-boxing bird seemed to have the upper hand (or foot!). 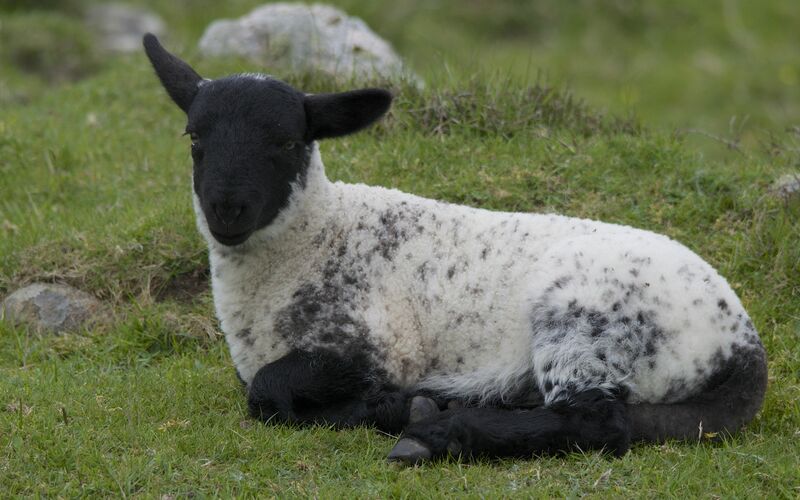 And, just because we haven’t had a photo of a lamb for ages, here is a beautiful black-faced one looking charming. 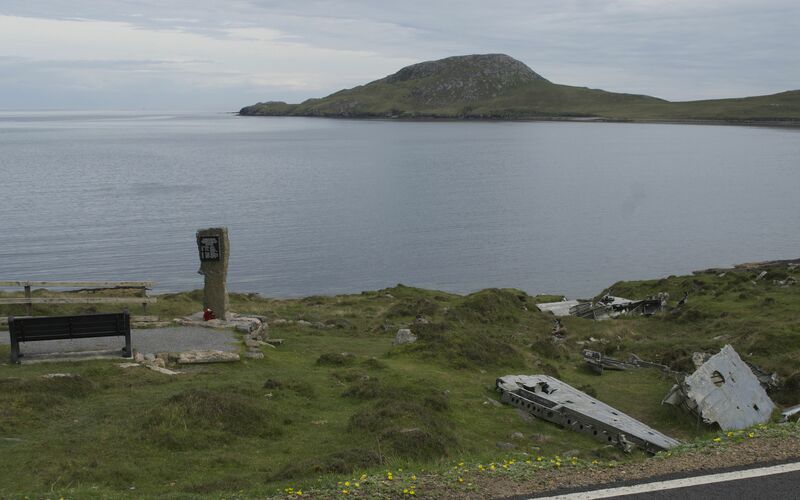 A sad event from 12th May 1944 is commemorated on a memorial stone for the men who died and the ones who survived when their Catalina plane crashed on Vatersay. 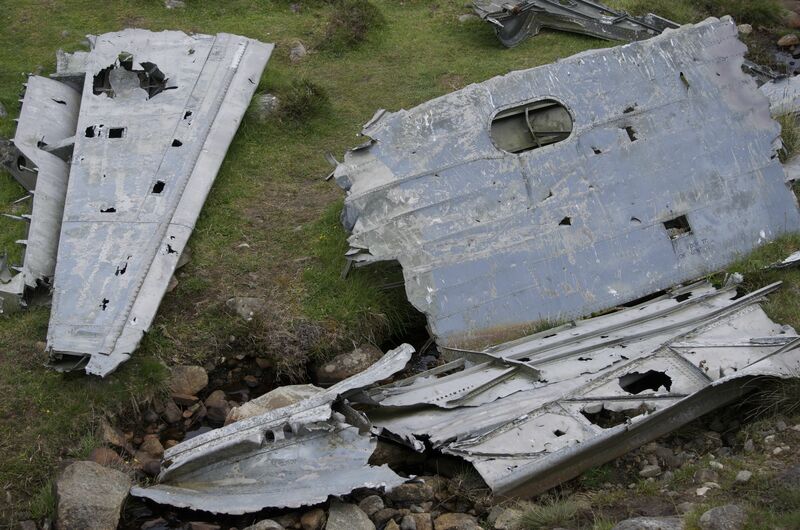 The wreckage is still to be seen near the memorial. 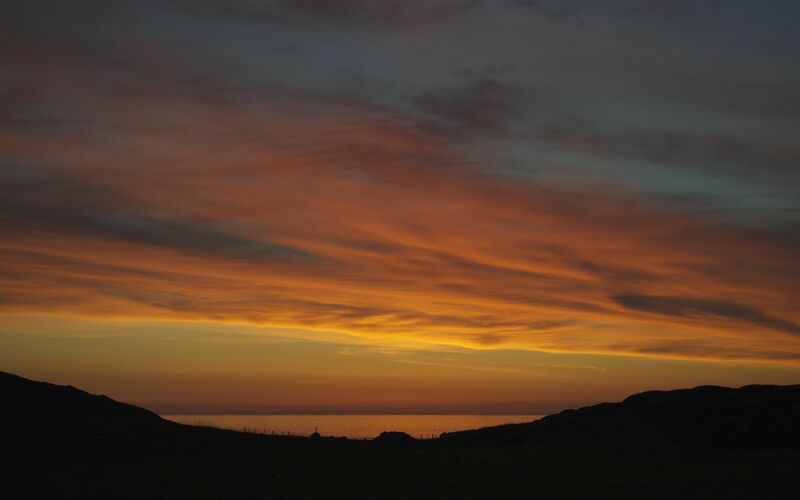 Our day ended with one of the most spectacular sunsets we have seen. This is the sky behind us on the campsite. No wonder we love it here. What a brilliant selection of birds. You are being spoilt. I think my favourite is the Heron and as always the chicks. Another glorious sunset too! What an amazing sunset. 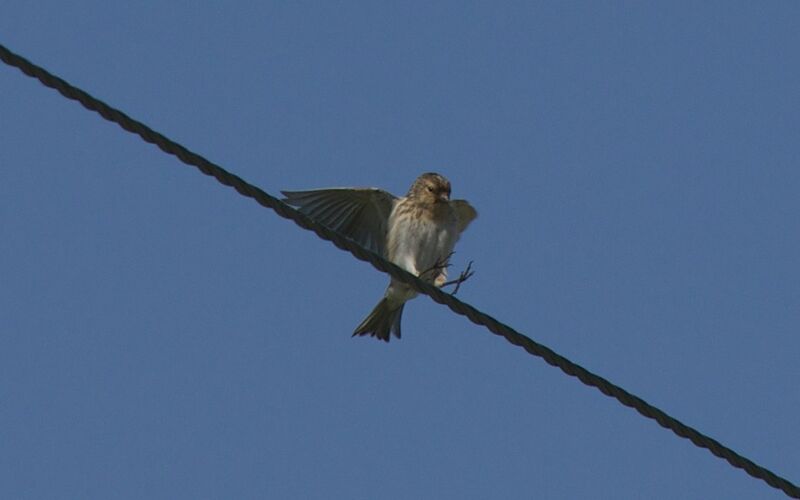 You’re right, I do love the Twites, and the ducklings are so cute.